Andy Smith of Bread and Roses is an artisan baker based in Alnwick in Northumberland. 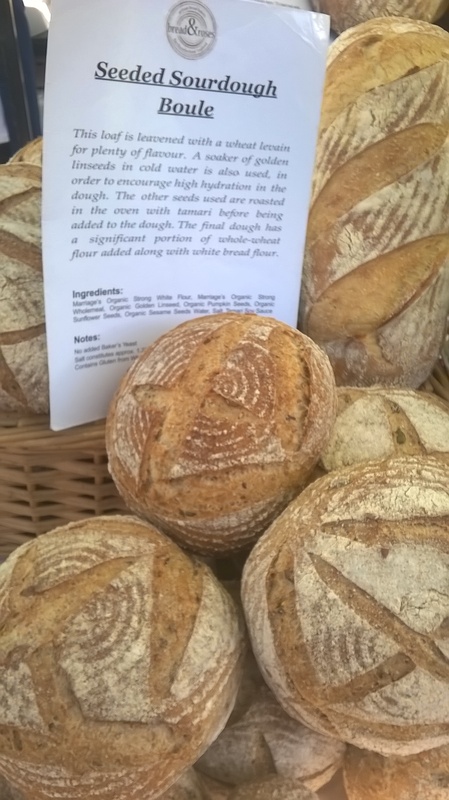 He specialises in the production of artisan breads, in particular, authentic naturally-leavened and sourdough breads. Bread and Roses are committed to using local ingredients where possible, as well as organic, and they make our standard brown loaf using Gilchesters’ wonderful Organic Farmhouse flour. We also specialise in rye sourdough breads and our range includes the wheat-free Moscow Rye, Borodinsky and Black Pumpernickel. All their rye flour is milled specially by Gilchesters. Andy also offers a range of breadbaking courses – check his website for details.